Millie is a Kanaka Maoli (Native Hawaiian ancestry), born and raised on the Island of O’ahu, in Halawa Heights. She currently resides in Tempe, Arizona, with her Husband Roland. They have 6 children and 3 grandchildren, with the majority of them still residing in Hawaii. She began using various massage techniques to work the head, neck, feet, back, arms, etc., at a young age to care for grandparents, parents, and other family members. There have been many more that have assisted in guiding her to where she is today. Millie began her formal education in the healing arts in 2016, when she received her first Reiki level 1 certificate from Joyce Winough. She has since received her diploma in February 2018 from the Southwest Institute of Healing Arts, with a certificate in Myofascial Energetic Massage. She also received her Mana Lomi Level 1 Certificate, and recently became the first Certified Mana Lomi Practitioner in the State of Arizona. 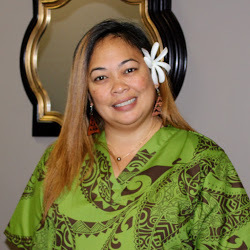 Due to the lack of any Traditional Hawaiian Lomilomi Practitioners in the state of Arizona, Millie has made it her mission to educate the community, and make authentic traditional Hawaiian Lomilomi the focus of her practice. She is also an active member and listed Lomi Practitioner with the Hawai’i Lomi Lomi Association.